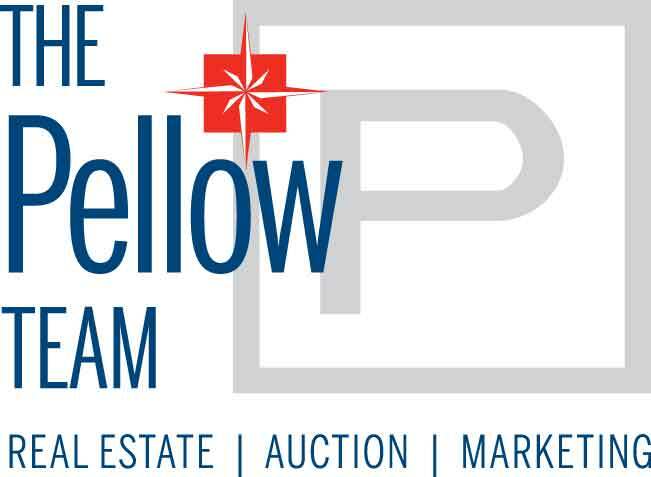 The PellowTeam LLC is a full service premier real estate, auction, and marketing leader for the state of Oklahoma with an emphasis on the Tulsa MSA and Grand Lake areas. We have sold virtually every class of real estate from commercial to residential, Luxury to lake, pasture, recreational, development and commercial land, and even a golf course. The PellowTeam mission is to provide our clients with the most efficient, transparent, and timely solution in buying and selling real estate. Our local knowledge and experience allows us to put together a strategic, targeted, and accelerated marketing campaign specific to each property. The PellowTeam selling methodology is designed to create the maximum return on our client’s investments and is a proven solution for most. John is the owner & founder of PellowTeam LLC, a full service premier real estate, auction, and marketing firm. He is also the auction expert for Coldwell Banker Select, the largest real estate company in Oklahoma. His focus is building relationships internally in the real estate brokerage community and externally working directly with strong key clients locally and regionally. John’s expertise and commitment is to provide the highest level of client service by creating the most efficient, transparent, and timely solutions ultimately creating a “Win, Win, Win” for the client, buyer and The PellowTeam. Having spent over 25 years of his professional career in various aspects of Sales, marketing, and operations, he has become an expert in his field. Prior to starting The PellowTeam and joining Coldwell Banker Select, John was the Vice President and Chief Marketing Officer for one of the top global auction leaders in the country. He was responsible for several large key accounts and created an in-house marketing agency. Prior to that he was the Director of Marketing for another real estate auction and brokerage firm overseeing the marketing and sales support of several divisions including Commercial Real Estate, Farms and Ranches, Premiere Properties and Online Only divisions. He has also held several leadership positions with a major wireless company and national retail sporting goods chain. John graduated from the University of Central Oklahoma and holds his Oklahoma real estate license. John is very prompt to respond to offers counters and any questions we have. He is thorough and always maintains a professional attitude. John understood our objectives and helped us find the property that met our criteria. John was recommended and was extremely professional through the whole experience. His knowledge of the lake area combined with extensive experience in marketing combined to make the whole experience wonderful. I’d recommend him again for anybody. It was a pleasure to work with John. He was patient and knowledgeable and a good person. I would suggest him to anyone. Thank you again John. Got the house of my dreams. John is great to work with! Always keeps appointments and will guide you through the process. John showed us many houses before finding the right one for us! Thankful for all of his assistance! Would highly recommend John as a real estate agent. He knew what we wanted and did not waste our time showing us property not in line with our needs. He also was very knowledgeable regarding the property in the area which was a huge plus. John was very prompt in returning phone calls, emails and texts and always kept us up to date throughout the process of the sale. Will not hesitate to use him again. John was very knowledgeable and helpful in our recent sale and purchase. He was always available to answer questions and keep us updated on items. Highly recommend John. We were referred to John by another realtor because of his knowledge of the Grand Lake area. He was very quick to respond to our calls, texts & emails & was very pleasant to work with. We would highly recommend him. John was very proactive in helping us search for the perfect second home at Grand Lake. He was very accommodating with his schedule. I would recommend him to anyone. We appreciate his knowledge and expertise. Working with John Pellow was a joy. He is very knowledgeable of the real estate availability in the Grand Lake area. He owns a home in Ketchum Cove and is especially familiar with all the South Grand Lake community. We had an unusual situation in that we had a rather small home on a large parcel of land but John worked long and hard and found us a cash buyer with a short close desire and we sold our home. John is very personable and dedicated to his clients needs. It was a pleasure to work with him. If it hadn't been for John I wouldn't have a lake home. He is easy to work with, always looks out for buyer & seller. Very knowledgeable. He is in all sense of the word a professional. Works very hard to get you what you need, even after the sale. I just can't tell you how kind this man is. I would buy another house from him. He is always there when you need him. John was very helpful in keeping us informed in the process. He was there every step of the way. John was quick to reply to our query and let us know what to expect. The process was easy and he helped to make it as convienient as possible even through the signing process seeing we were 160 miles away. We worked part of it out with electronic signitures to begin the process. We would recommend John to anyone seeking a helpful service. John is a great guy who works hard to make the real estate sale process as smooth as possible. Did a really good job maintaining a level head in a very difficult real estate market in Northeast Oklahoma. Highest recommendations. to Buy or Sell Real estate. My husband and I would recommend John to anyone buying or selling a house. Overall, our experience with John was excellent. He would answer my incessant calls and texts without making me feel like I was annoying him. Buying and selling a house is a huge undertaking and it was refreshing to know that I could trust John with such an important process. He always gave my husband and I his honest opinion and that was very helpful. If you are wanting a realtor that you know is on your side and not in it for the profit, John is the one you want! Having John Pellow as our real estate agent made life so much easier through our whole process. He pays attention to detail, has great industry knowledge and is very professional. I would highly recommend you give him a call for any real estate needs you have! John's knowledge of northeast Oklahoma and the Grand Lake area made it an easy transaction !! He went the extra mile to make sure we were comfortable from the buying process thru the closing !! John was very professional and knew his business well. He helped us get the most out of our lake house. He clearly knew the Grand Lake area well. I recommend him highly. John was an awesome realtor to deal with. Purchased my lake home through John. John made it easy and painless!! He was always available to answer any questions all through the process! Couldn't be happier with the deal he helped me get!! Would use him again anytime! Thank you John!! Very professional, responsive and helpful.Knowledgeable about local matters and assisted in all important areas in the process of acquisition and closing.